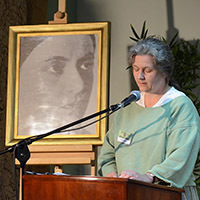 The International Scientific Seminar on Edith Stein 8-10.06.2012 began a series of events under the title "Edith Connects" associated with the celebration of 70th anniversary of the death of this saint. “I was afraid to come, and I thought, how can you talk a lot about Edith Stein in the place where she died? Should there not rather be silence? And now, after the conference, I know that Edith’s words can be spoken here on this soil and they do not lose their sense. On the contrary!” These are words of one of the lecturers and also others confirmed similar experiences. 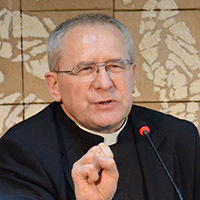 After having been greeted by Father Jan Nowak, the director of the Centre for Dialogue and Prayer in Oswiecim, and being introduced to the theme of the conference by Father Manfred Deselaers, the Ordinary of the Diocese Bielsko-Zywiec – Bishop Tadeusz Rakoczy. 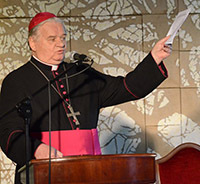 Words of welcome to participants were also received in a letter sent by the Metropolitan of Cracow, Cardinal Stanislaw Dziwisz. 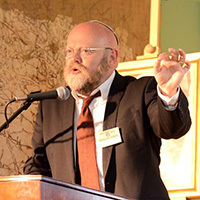 Rabbi James Baaden, England spoke on "The Phenomenon of Edith Stein and Jewish-Christian Relations." He showed how her biography is to be seen in the context of other Jewish victims, e.g. Regina Jonas, the first female rabbi in history, who also was murdered in Auschwitz. However there was almost no protest from Jewish organizations against the beatification and canonization of Edith Stein. He presented the positive development of dialogue and concluded: Here, at this place, let us not forget that it was a dispute – with more than a few bitter and painful moments over the years – which resulted in the creation of this beautiful Centre. " Fr. 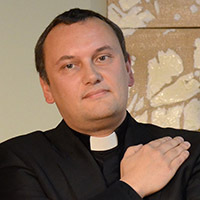 prof. Jan Machniak, Krakow, spoke about "The Jewish Roots of Edith Stein," which for her was not only a matter of ancestry but remained valid throughout her life. 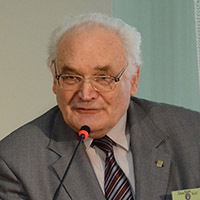 Prof. Wladyslaw Strozewski, Krakow, compared "The Philosophy of Man in Edith Stein and in Roman Ingarden." Prof. Strozewski was a student of Prof. Ingarden who was a close friend of Edith Stein, and he showed that unlike Edith Stein, Ingarden did not want to talk about the divine dimension in anthropology. But he was open to it. Fr. 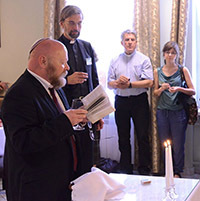 prof. Wojciech Zyzak, Krakow, emphasized "The Importance of Faith in the Life and Writings of Edith Stein." 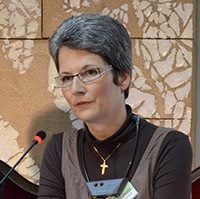 Dr Mette Lebech, Maynooth, Ireland, founder of "The International Association for the Study of the Philosophy of Edith Stein" (www.edithsteincircle.com). In her lecture, "Edith Stein as a European Philosopher," she highlighted Edith’s Silesian origin, her sensitivity to political issues, particularly the relationship between patriotism and personal and social identity. Prof. Anna Grzegorczyk, Poznan "Beyond Cultures. The universalism of Edith Stein" showed that even people of Asian cultural background can understand the philosophy of Edith Stein, since her anthropology has a universal character. 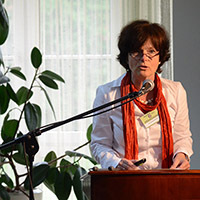 Dr. Cordula Haderlein, Bamberg, Germany, Director of Edith Stein School, through examples from school practice, showed that "the educational philosophy of Edith Stein is a roadmap for the challenges of education in Europe, XXI century." Fr. 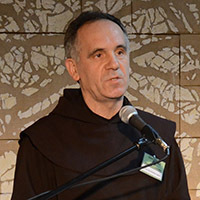 prof. Jerzy Gogola OCD, Krakow, presented the dimension of suffering in the life of Edith and in this context the relevance of Carmelite mystic, "The influence of St. John of the Cross for Edith Stein." 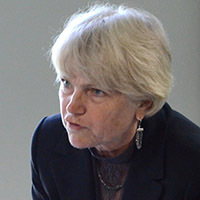 Prof. Dr Claudia M. Wulf, now a lecturer at Utrecht in the Netherlands, lectured on "The ethics of sacrifice. A phenomenological approach to Edith Stein’s attitude in the face of the inevitable". She prepared for going and praying in the former camp. "The lives of victims, who have been sacrificed in this place, cannot be expressed in numbers. Each life ended in an individual way, even in the apparatus of mass extermination. A life was given, another one was given away, another one torn away – in a tiny number of cases it was a voluntary sacrifice. 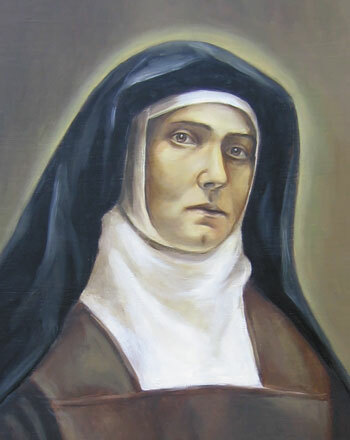 Edith Stein therefore understands her sacrifice well: as a vicarious sacrifice for her people, the people of the Covenant. So the inevitable robbery was turned into a sacrifice through an act of inner freedom." 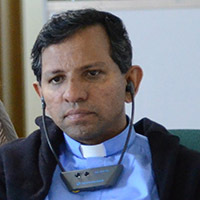 Fr prof. Joseph Varghese Maliakkal OCD, India, Director of the Institute Teresianum in Rome, Vatican City, discussed "Self-transcendence through relation in Edith Stein's philosophical anthropology," showed how responsibility for the other determines the identity of a human being. A New book about Edith Stein was presented by Fr. 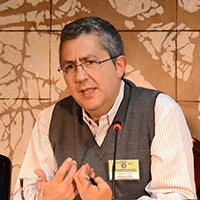 Prof. Placyd Ogórek OCD, "Joanne Mosley, Woman of Prayer", and two new films about Edith Stein were shown: "Edith Stein - patron saint of Europe and Lubliniec," Boguslawa Stanowski-Cichon, and "We have no lasting city here," Peter Mielech. An important part of our meetings was a prayer together. We welcomed Shabbat with prayers from Rabbi Baaden. Mass was celebrated on Saturday morning by Bishop Grzegorz Ryś, on Sunday we participated at Mass in the Carmelite convent, where Father Florek OCD said the sermon. 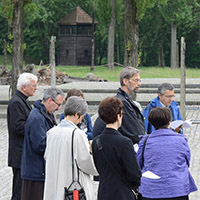 Together we walked with Meditative Stations along the ramp in Birkenau. Symbolically we participated in the last journey of Edith Stein. At the monument the Jewish prayer was recited by the Rabbi and there was prayer together for all the dead and for peace in the world. The Seminar was an important meeting for the whole scientific environment associated with Edith Stein. Some experts met just here. We all experienced that Auschwitz is an important place for spiritual reflection, dialogue and prayer. We understood that the words and life of Edith Stein, Sister Teresa Benedicta of the Cross, still have a lot to offer the people of Europe and that only from the perspective of Auschwitz do we discover her deepest meaning.